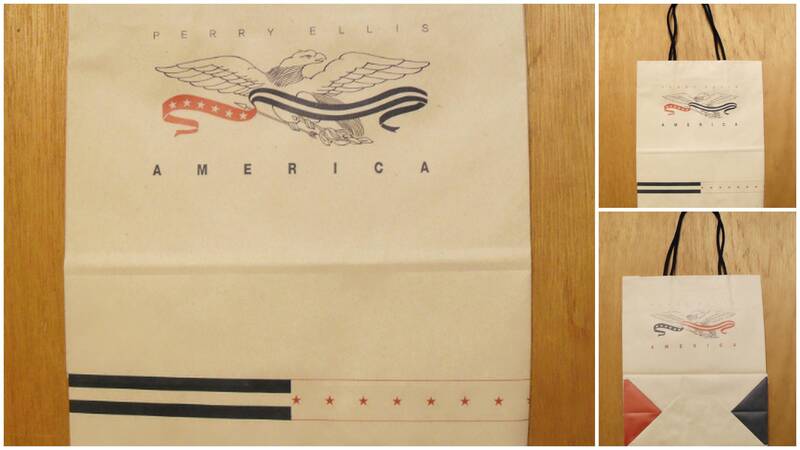 ----America by Perry Ellis paper shopping bag from 1996. The size of the bag is approximately 10.5" long x approximately 8.75" wide, not including handles. 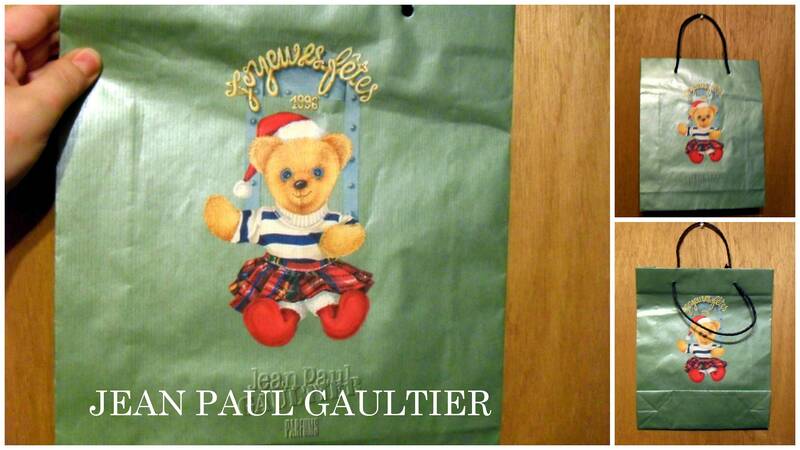 ----Jean Paul Gaultier paper shopping bag for Christmas 1996. 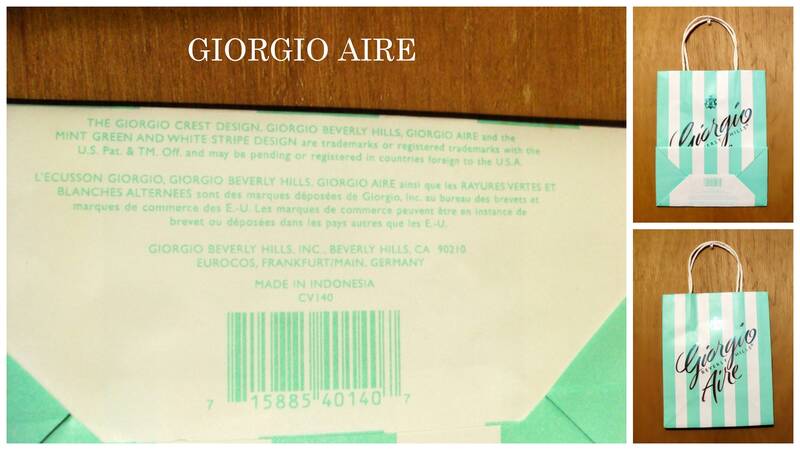 The size of the bag is approximately 12.5" long x approximately 10.25" wide, not including handles. 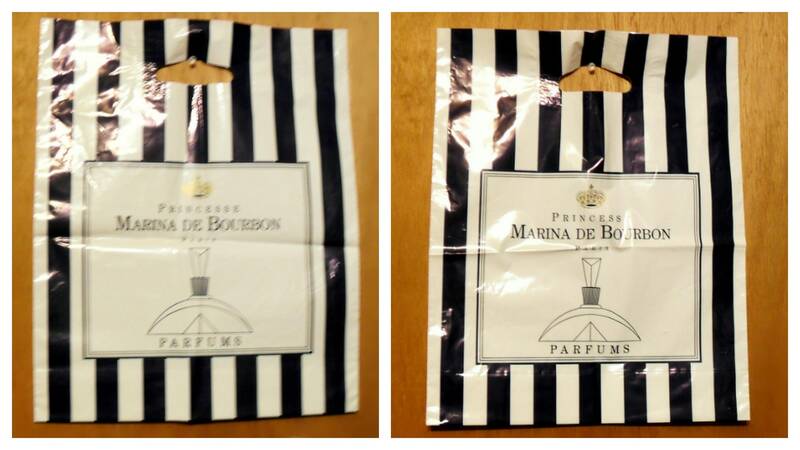 ----Princesse Marina de Bourbon plastic shopping bag from 1994.The bag has some snags, wrinkles, and wear from storage as it is made up of a flimsy thin plastic. 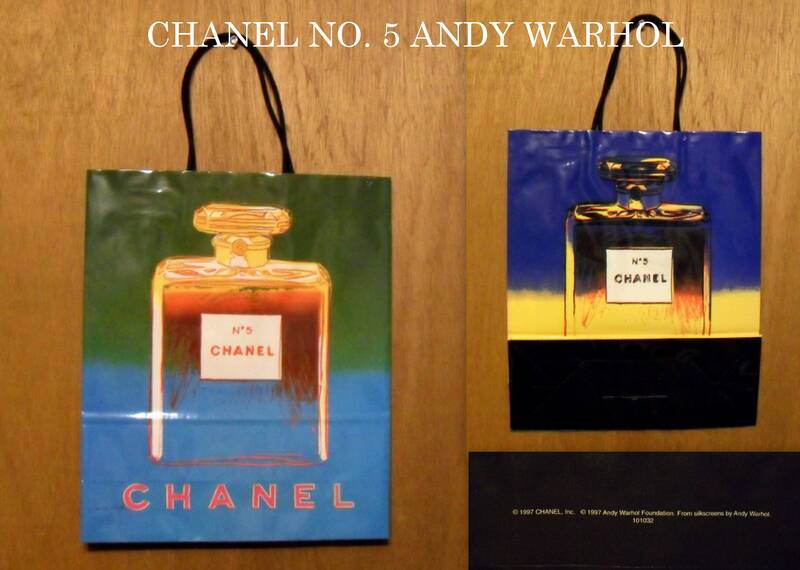 The color is very good on the bag with no yellowing. 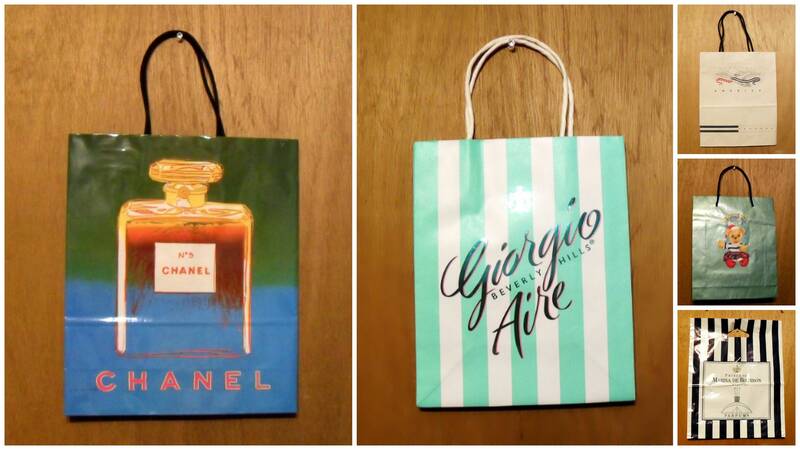 The size of the bag is approximately 16.5" long x approximately 13.5" wide.